Because the local rules, forms, and customs of practice within Pennsylvania courts can be confusing to colleagues from other states or parts of Pennsylvania, it may become necessary to retain local counsel. Local rules and customs vary from county to county and you do not want your client to be disadvantaged. 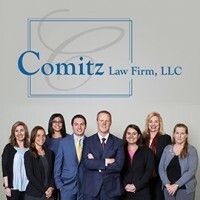 Let the attorneys of Comitz Law Firm, LLC help. Our firm can offer you a straight referral relationship whereby we assume the representation of your client and take over the case completely. We are very flexible on referral fees often times referring up to 50% of any recovery; a fee arrangement often unavailable with larger law firms. If more of a local counsel role is desired, we offer a wide variety of local counsel services. Those services include being a consulting resource on Pennsylvania law and/or procedure, subpoena issues, “boots on the ground” support for court appearances, depositions, and drafting and arguing substantive motions. Once retained, we can be an excellent resource for you and your client. Call us today to discuss any of your local counsel and/or referral needs.